On a recent trip to southern Spain, I travelled along the Roman Baetica Route and visited many of the archaeological sites and museums that Andalusia has to offer. Among the plethora of ancient treasures to be found in the region, I was particularly impressed by the incredible mosaics I came across. This installment of the series will focus on Carmona and Éjica. In the past, Carmona was one of the main enclave settlements on the lower Guadalquivir with nearly five thousand years of continuous occupation. 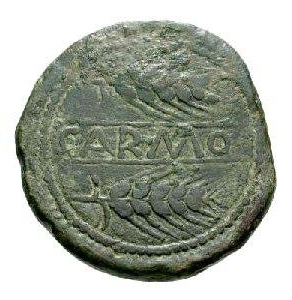 Its “mighty wall” was mentioned by Julius Caesar in his De Bello Civile while the city received the dispensation to mint its own coinage bearing the name “Carmo.” Carmo became a major crossroads on the Via Augusta and an important outpost in the Roman empire. 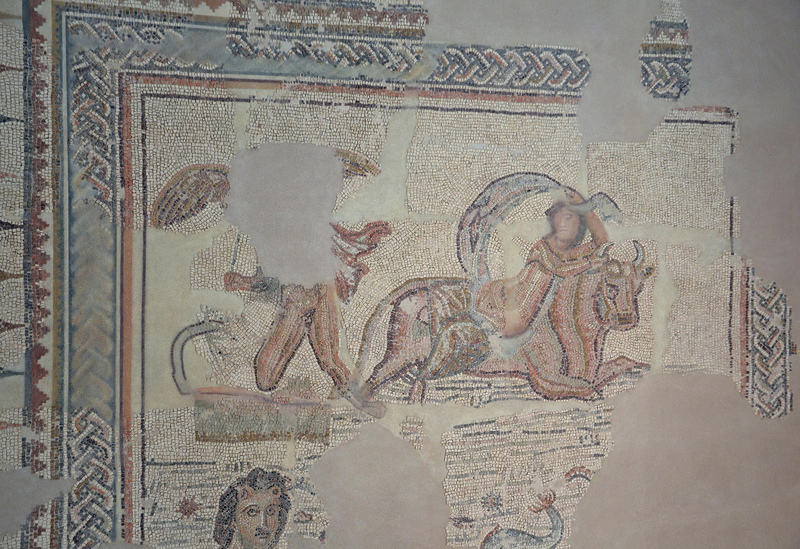 Two mosaics can be seen in Carmona, one in the City Museum with an allegory of the Summer season and another one in the Town Hall with the head of Medusa. Mosaic fragment with an allegory of the Summer season, 2nd – 3rd century AD, Museo de la Ciudad de Carmona. Image © Li Taipo (CC BY-NC-ND 2.0). The courtyard of the Town Hall of Carmona contains an important Roman mosaic, which was found in the old quarter of the town. Mosaic with the head of Medusa surrounded by allegories of the Four Seasons, Ayutamiento Carmona. Image © Carole Raddato. Another mosaic shows the head of Medusa, one of the three daughters of the marine goddess Phorcys, as a central motif. The round, childlike face of Medusa is depicted with multicoloured vitreous paste tessarea of great strength. However, the tessarea that framed the image of Medusa have not survived. The rest of the pavement is decorated with geometric designs, made up of rectangles on a black background and Solomon’s knot squares on light backing tones. 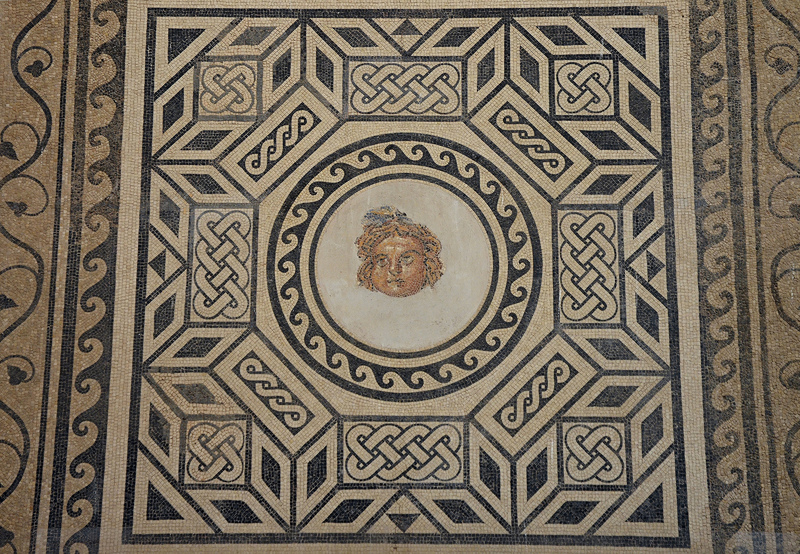 Mosaic with Medusa depicting with a round, childlike face, 2nd century AD, found in 1959 at the Plaza de la Corredera, Salón de los Mosaicos (Hall of Mosaics) – Alcazar of the Christian Monarchs, Cordoba. Image © Carole Raddato. The significant archaeological excavations in progress in Écija have shed new light on the city’s past and its importance during Roman times when Colonia Augusta Firma Astigi was one of the four government capitals of the Baetica province. 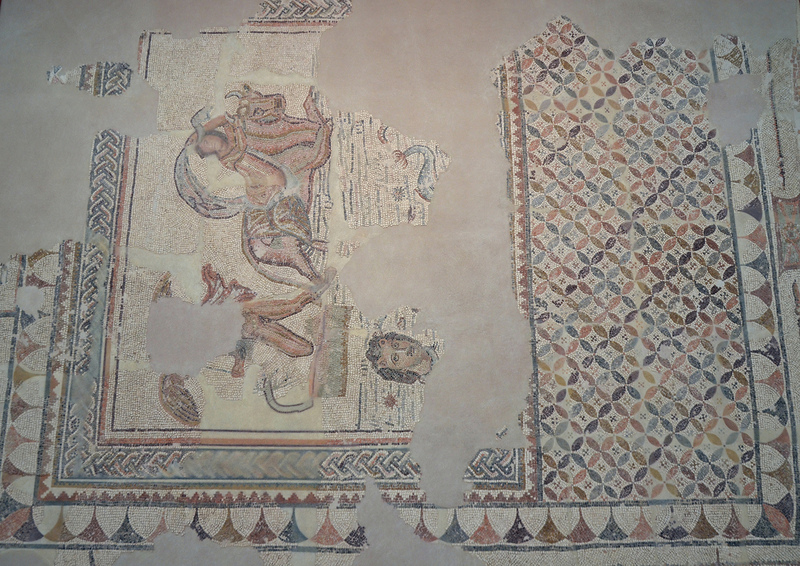 Mosaics and objects of great artistic value have been found during various excavations. Particularly noteworthy are the remains found during extensive excavations that took place at Plaza de España and at Plaza de Armas. The Municipal History Museum of Écija is housed in the Benameji Palace, a magnificent example of Baroque architecture from the 18th century. 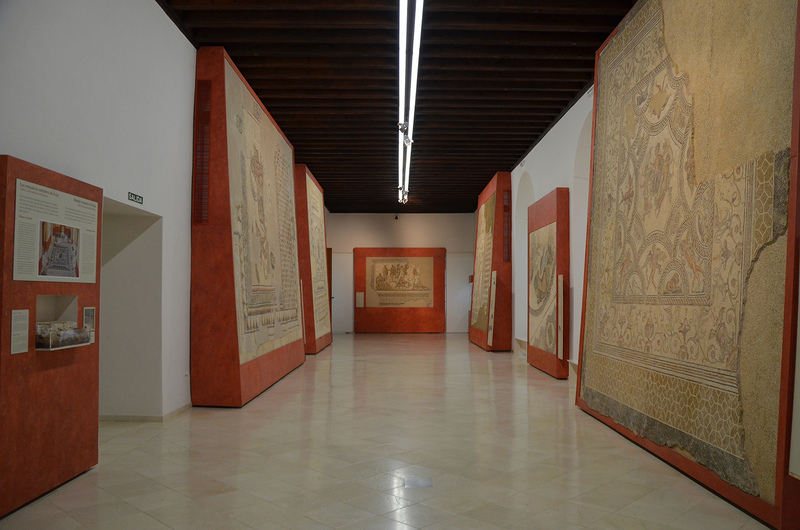 It contains a large room dedicated to the Roman mosaic pavements that were unearthed during the excavations. 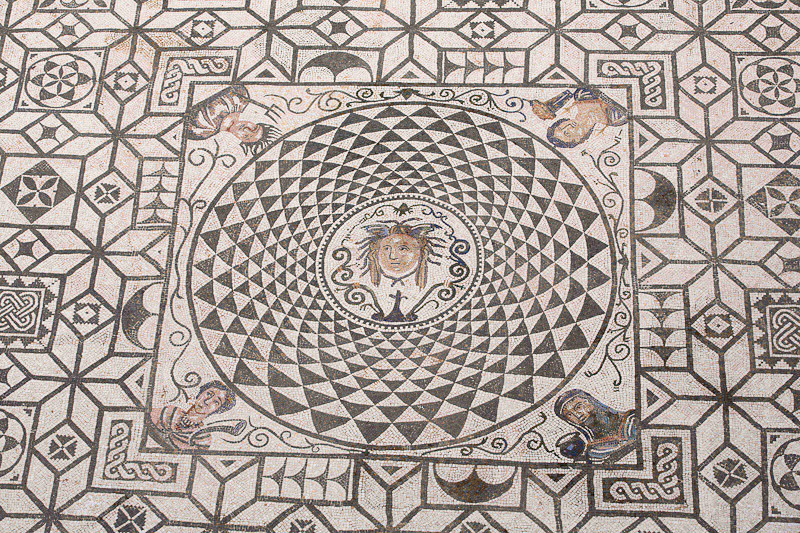 The set of mosaics from Écija is one of the most important from the Roman West due to its quality, variety and size. Museo Histórico Municipal de Écija. Image © Carole Raddato. 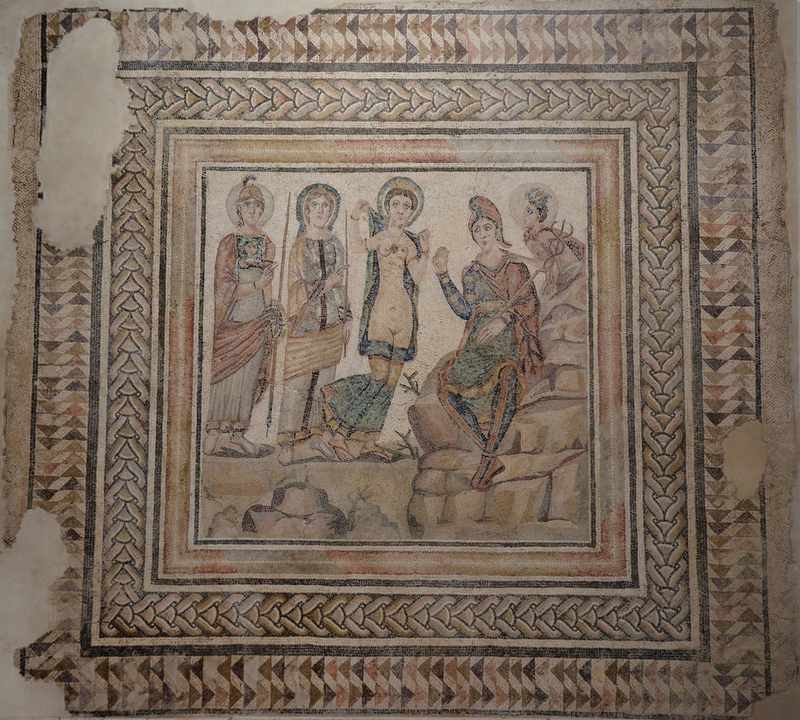 The Mosaic of the Four Seasons was found during the excavations of a Roman house at a depth of 2.84 m below the present-day street level. It is a mosaic of great artistic quality. The theme is related to the four seasons as well as the apotheosis of the god Annus (Year), the Roman deity who personified the cycle of the year. Mosaic of the Seasons, in the central octagon the Apotheosis of Annus (Year) between two winged victories, in the corners allegories of the Four Seasons, second half of 2nd century AD or early 3rd century AD, Museo Histórico Municipal de Écija. Image © Carole Raddato. The Mosaic of the Nereids is a fragment of a marine themed-mosaic with a Nereid riding a sea-monster. It paved one room of a Roman house, perhaps of the private baths area. 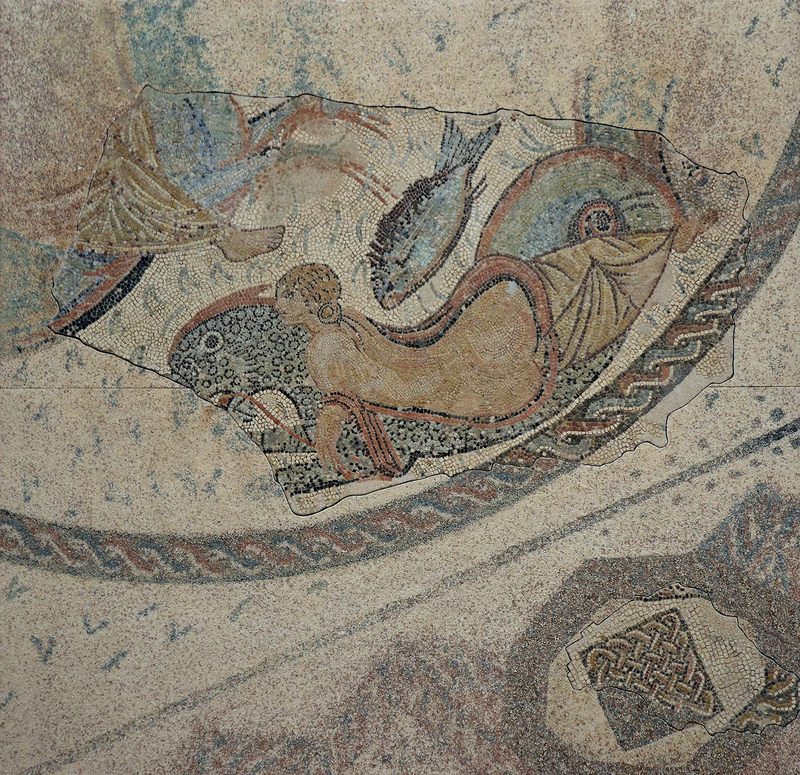 Mosaic of the Nereids, fragment of a mosaic depicting a Nereid riding a hybrid sea monster (Ketos). It paved a room of a Roman house, perhaps of the private baths area (thermae), 2nd century AD. Museo Histórico Municipal de Écija. Image © Carole Raddato. The Mosaic of the Double Kidnapping is a very rare mosaic depicting both the myth of the kidnapping of Europa and Ganymede. For the kidnapping of Europa, Zeus transformed himself in a bull. For the kidnapping of Ganymede, he turned himself into an eagle. A head, possibly Bacchic, emerges from the sea. 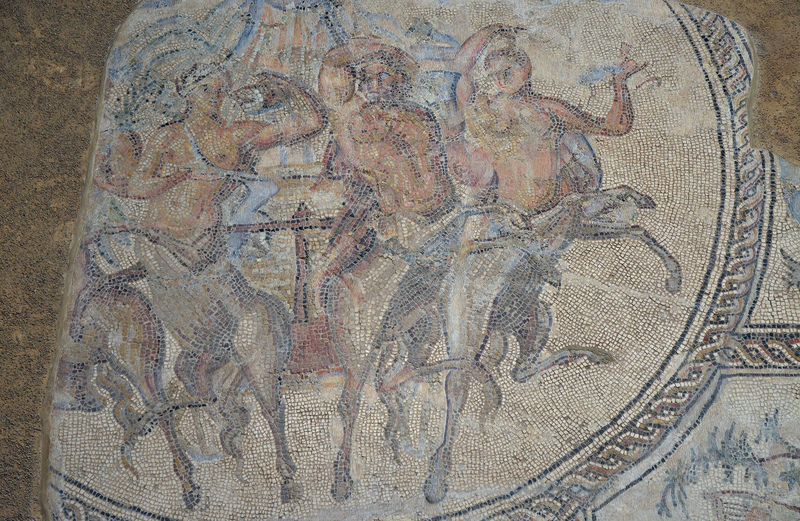 Mosaic of the Double Kidnapping (Europa and Ganymede), found in Écija in 1986. 3rd century AD. Image © Carole Raddato. 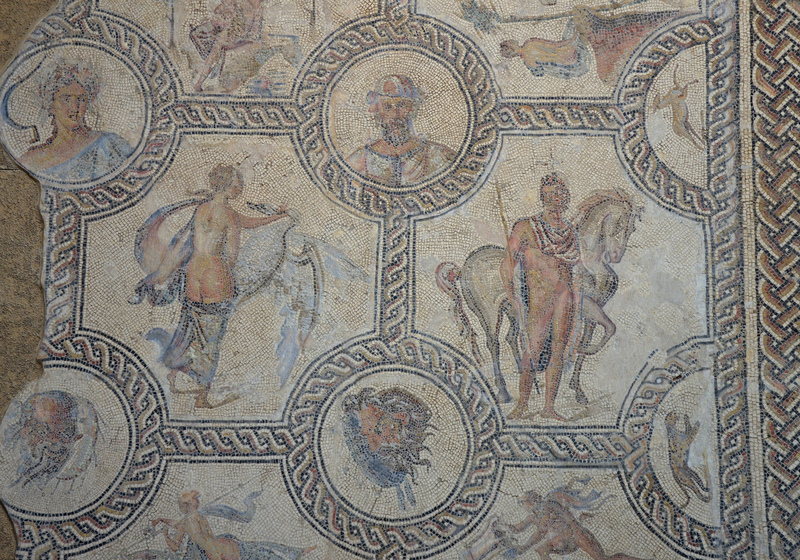 The Mosaic of the Triumph of Bacchus is a wonderful polychrome mosaic floor that once belonged to a rich Roman house. The central medallion or emblema shows a quadriga drawn by male and female centaurs. The god Bacchus triumphantly rides the chariot. The central medallion is surrounded by circles, octagons and hexagons depicting various characters of Classical mythology (Leda and the swan, Orpheus and a nymph, Narcissus, Castor with a horse, Silenus, Pan, a satyr and a Maenad) as well as allegories of the seasons. 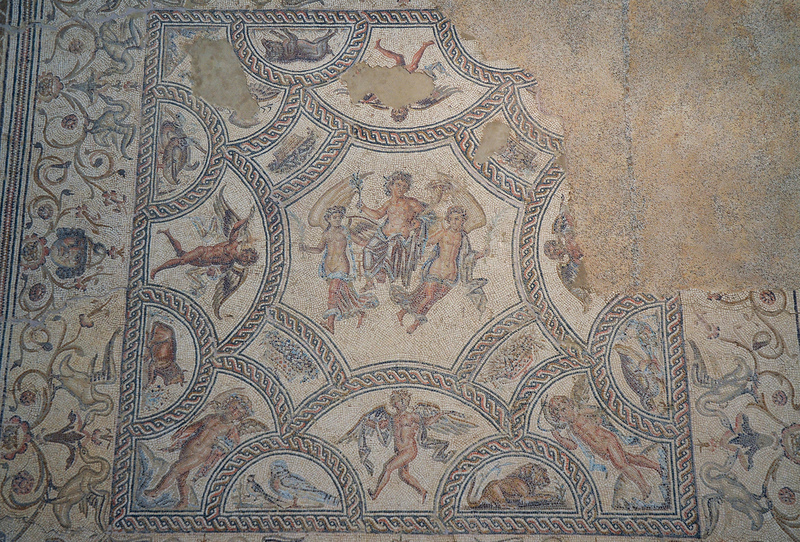 Mosaic of the Triumph of Bacchus, found in Écija in Plaza de Santiago. Created in the second half of 2nd century AD. Now housed in the Museo Histórico Municipal de Écija. Image © Carole Raddato. 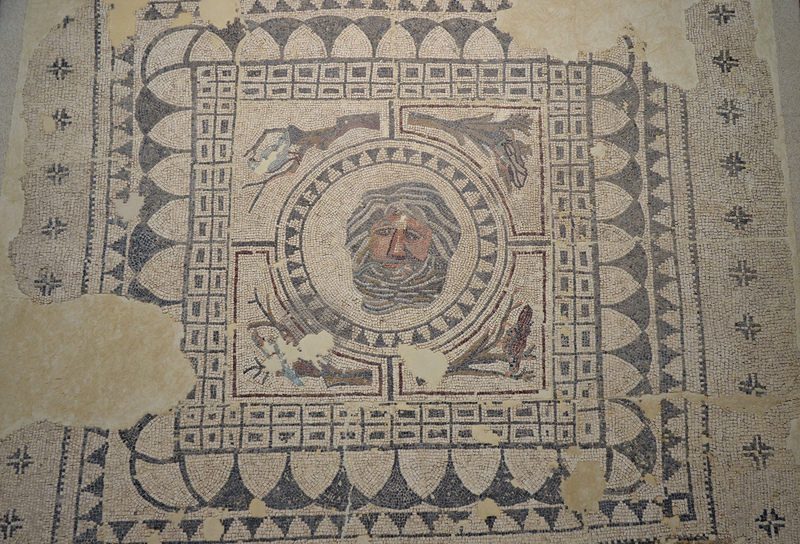 The Mosaic of Oceanus, dating back to the 4th century AD, is the latest found in Écija. In its centre is the head of Oceanus, who is portrayed as an old bearded god with long hair and a rivulet of water streaming from his mouth. He is surrounded by four birds on tree branches representing the four seasons. Mosaic of Oceanus, Oceanus is surrounded by four birds on tree branches representing the four seasons. C. 4th century CE, from a urban house (Domus) of Roman Astigi (Ecija), Museo Histórico Municipal de Écija. Image © Carole Raddato. 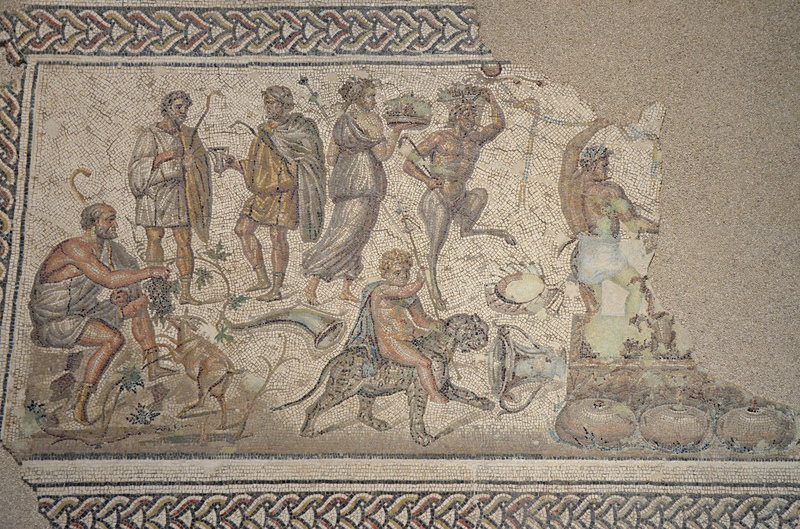 The last mosaic is the Bacchic mosaic of “The Gift of Wine.” It depicts scenes of the myth according to which the god Bacchus donated the secrets of the cultivation of grapes and wine-making to mankind. The central scene shows Bacchus as a child riding on a panther, dressed only with a chlamys (small wrap) and holding a thyrsus. Several objects related to his myth are placed around him: a rython (drinking horn), a tympanon (tambourine) and a krater, a vase used to mix wine and water. In the Town Hall’s Chapter House is a mosaic depicting the Punishment of Dirce. Dirce is shown being dragged by a bull, a punishment inflicted by the two sons of Antiope, Zethus and Amphion, whose mother she had mistreated. Mosaic depicting the Punishment of Dirce, 3rd century AD. Image © Carole Raddato. Stay tuned for the next part of this series, which will explore the mosaics at Fuente Alamo and Casariche.